Everyone has heard of the expression “size doesn’t matter”, however it actually matters a lot. How else would we know if something is big or small? Nature creates everything and everyone in all shapes and sizes, which is why there is so much diversity around us and our world appears a lot more interesting. This list features the largest things across a wide range of categories, from body parts to snack foods and everything in between. This giant monstrosity is not a genetically modified breed or a freak of nature. 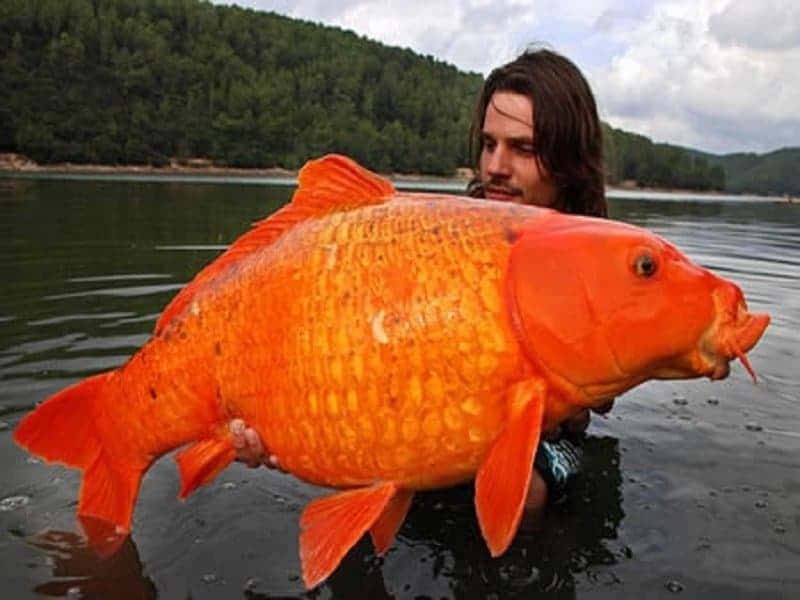 It is just the size this specific specie of orange koi carp grows to. This particular catch weighed over 30 pounds, the same as a three year old girl. You might think that this is one of those gimmick products that just looks like an iPod but doesn’t work, but you are wrong. 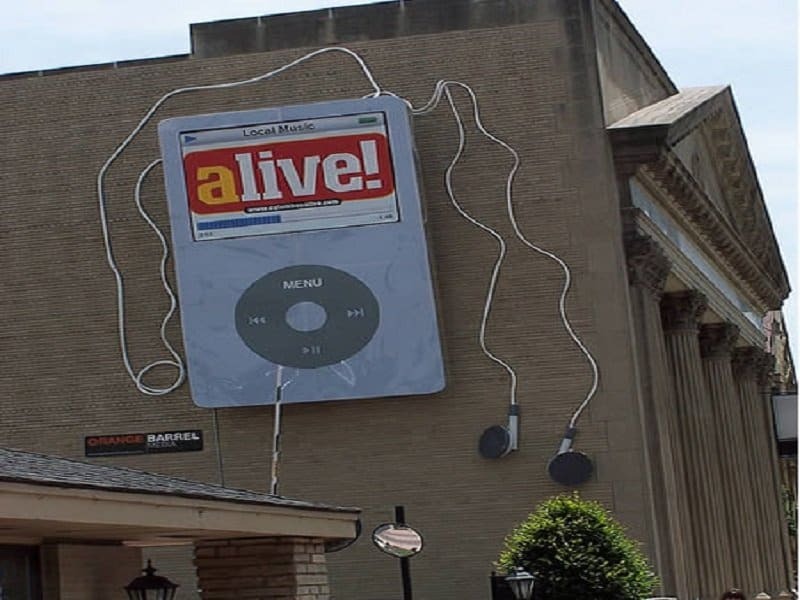 The world’s largest iPod can be seen attached to the side of Unizan Bank in Ohio and was created for Columbus Alive, an entertainment magazine. KFC does not mess around with many other things apart from fried chicken. That’s what makes them so good. 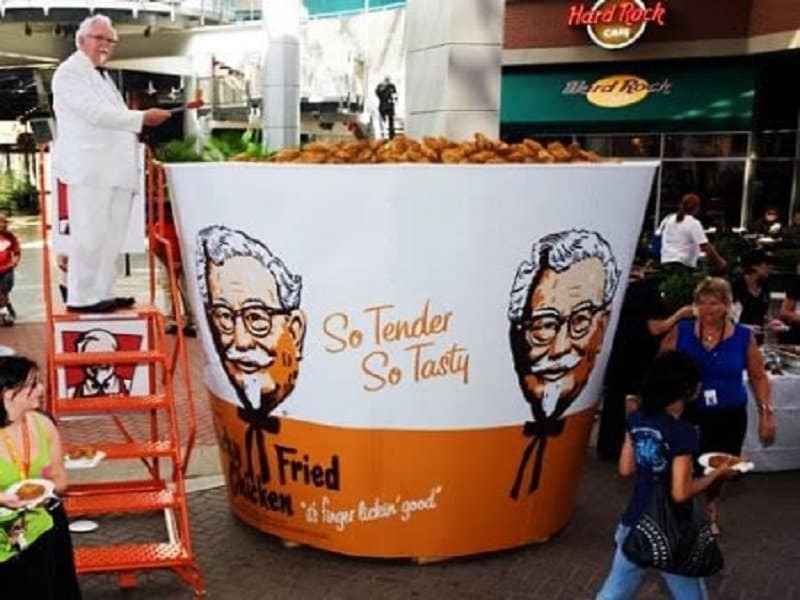 When they decided to go for the record for largest serving of fried chicken, they thought that only a bucket that could hold 2,493.35 pounds of chicken would be enough. 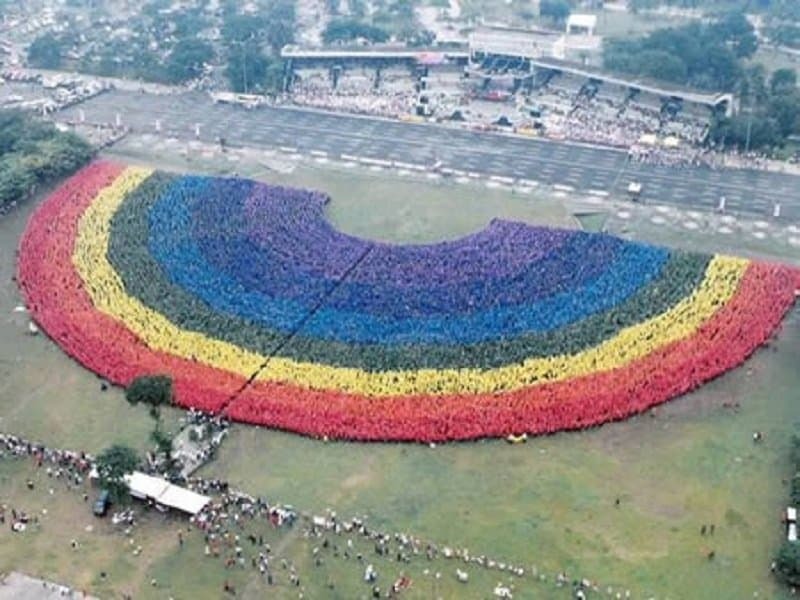 This magnificent feat was accomplished in the Polytechnic University of Philippines in 2004. The record took over 31,000 people to accomplish and it beat the previous record that was held by 11,750 people. American chocolate manufacturer Grand Candy created the world’s largest chocolate bar. 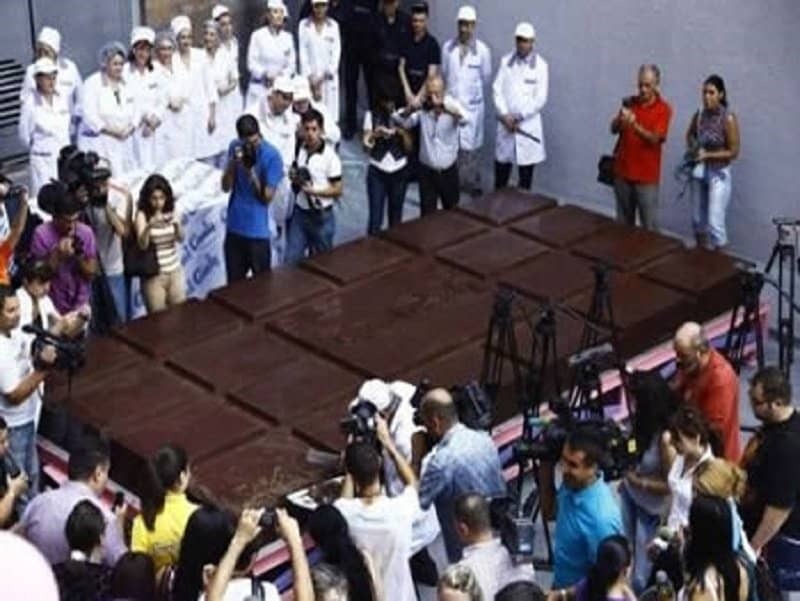 The massive slab of chocolaty goodness is 10 inches thick and weighs 9,720 pounds. It is over 18 feet long and 9 feet wide, the largest chocolate bar by quite a distance. 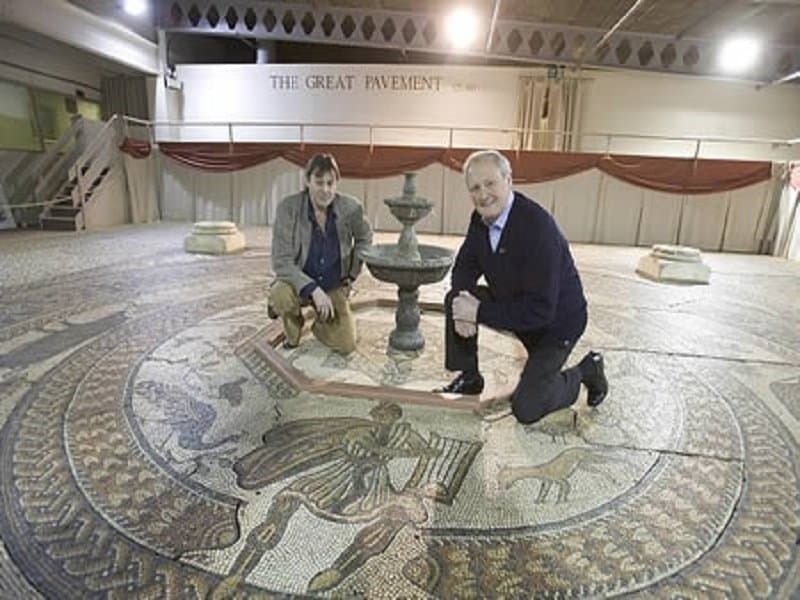 The world’s largest mosaic took over 10 years to complete and was created by a team of two brothers. Bob and John Woodward are responsible for this work of art that is on display at Prinknash Abbey, near Stroud. It was built using 1.6 million little pieces and is spread across 47 feet. 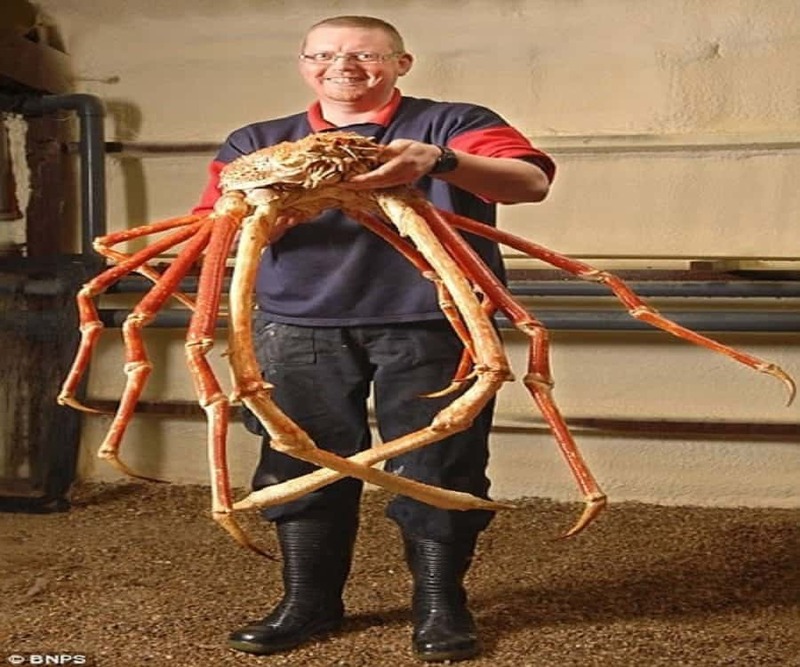 This amazing creature is the largest living arthropod in the world. This particular species is called the Japanese Spider Crab. They can be found nearly a 1,000 feet underwater and have legs that are over 12 feet long. Annie Hawkins-Turner, aka, Norma Stitz, is a lady from Georgia who holds the record for largest breasts in the world. Her bra size is a staggering 48V. Most of us have never even heard of that size before. 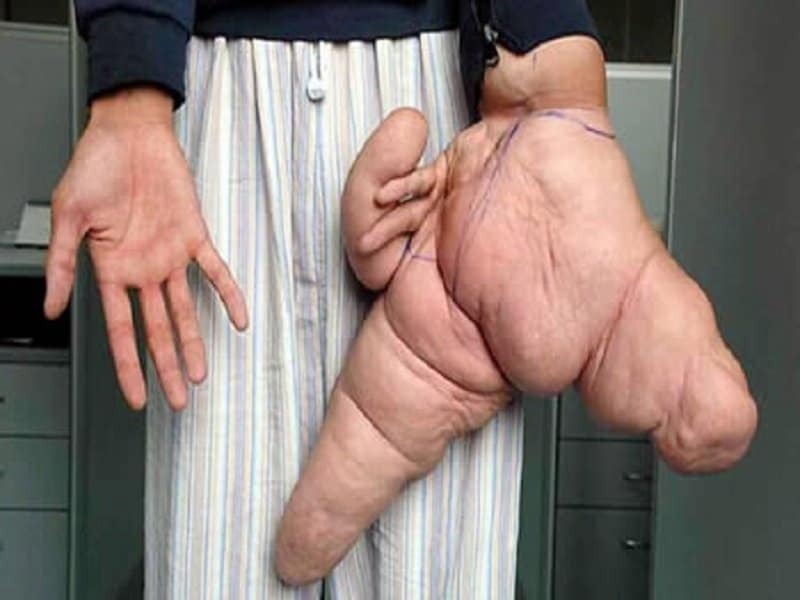 This hand belongs to Liu Hua, a Chinese man born with a rare genetic disorder called macrodactyly. Liu’s left thumb, middle finger and index finger are 26, 15 and 30 cm respectively. His hand itself weighs just over 10 kilograms. 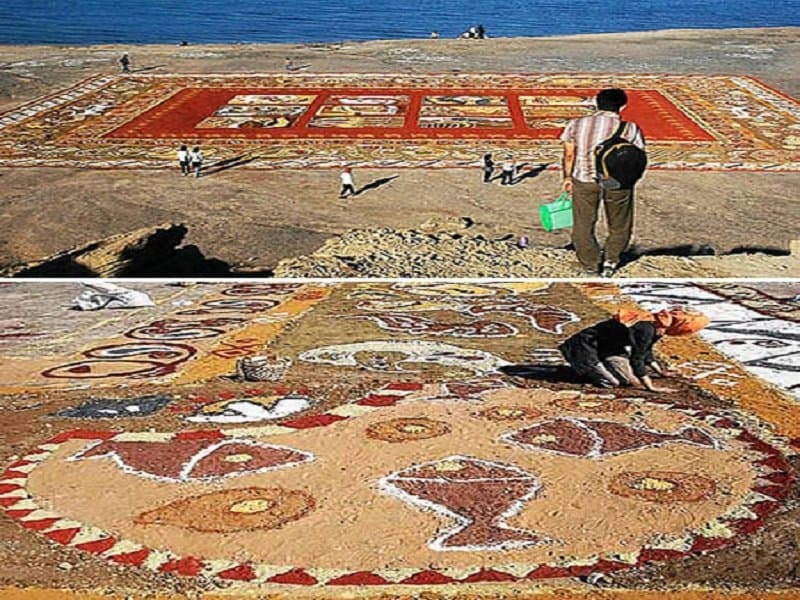 Did you know that there is such a thing as a sand carpet? Not only are sand carpets quite famous, there is one that is absolutely enormous. It was built using 25 artists and it is over 12,000 square meters in size. It features over 70 different colors of sand and can be seen on the island of Hormuz.